Making a Meal was a participatory installation that transformed Hopkins Hall Gallery into a place of gathering for daily lunchtime meals. The project was presented in conjunction with the Suitability Lecture Series with speakers Christopher Cannon from Red Roots Community Garden, Trish Clark from The Crest Gastropub, and Bear Braumoeller from Slow Food Columbus came and spoke about the food system from there unique perspective. The project was designed to encourage thoughtful eating and was open to the public and ran for five days with five participates acting as a control group they included Todd Arnold, Maribeth Brown, Matthew Young, Natalia Arbelaez and myself. 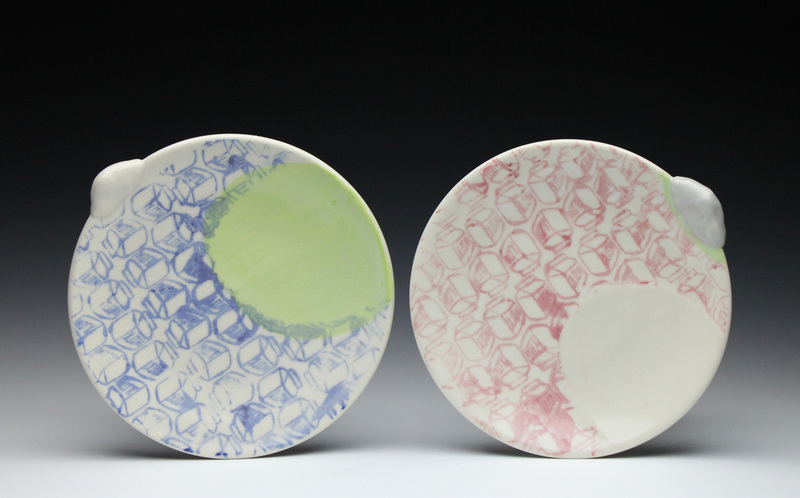 Each day participants were asked to eat from a different material including styrofoam, plastic, paper, commercial ceramics, and on the last day handmade ceramics. There was a table in the center of the gallery for meal sharing, a table on the side where participants and visitors were able to remove their food from its original packaging and place the food on the appropriate tableware for that day. The installation asks visitors to consider where their food comes from, what they eat from, what affects food choices, and what happens to food waste? At the completion of the project I asked the control group of participants to reflect on the week of eating from different materials. The response was unanimous that eating from something that was handmade and even more importantly knowing who the maker was changed the eating experience on the final day. The heightened awareness that comes with couscous eating effected food choices, placement of food, and the group dynamic throughout the week effected the time each person spent eating. As we got to know each other we formed relationships and the meals lasted a longer amount of time. The conversation usually revolved around food and the dishware being used. I chose to have the waste accumulated within the space as the day was finished the plates and cups were placed along the wall and each day the awareness grew. On the final day I hung a series of photographs to accompany the meal they were a record of what had been eaten by each person and from what vessel. After the event the group of photographs were the only thing left within the space and they existed as the piece itself since the event had already passed. 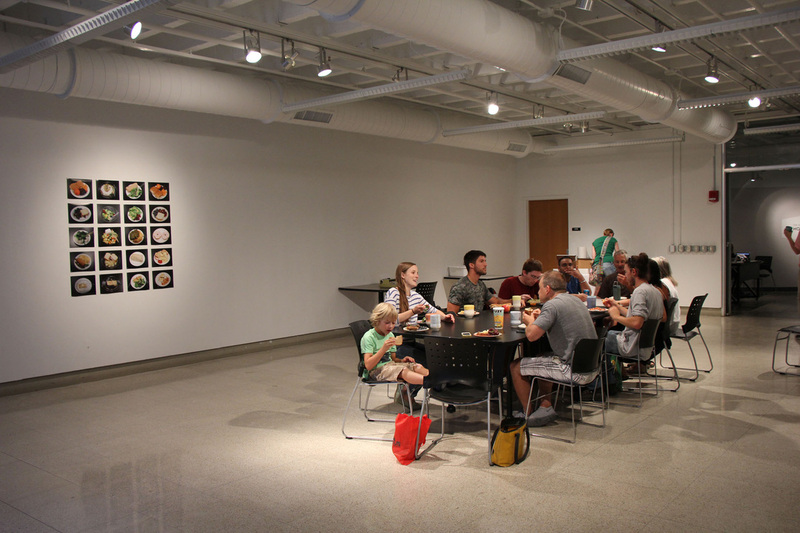 Making a Meal was a participatory installation that transformed Hopkins Hall Gallery into a place of gathering. 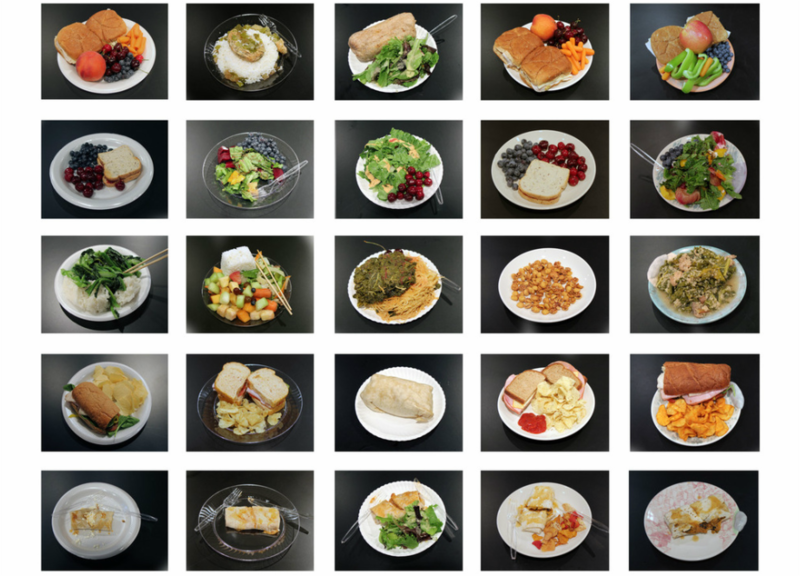 To encourage thoughtful eating, visitors were invited to share a meal with the artist by first removing their food from its original packaging and placing the food on a range of vessels including styrofoam, plastic, paper, and ceramic. The installation asks visitors to consider where their food comes from, what they eat from, what affects food choices, and what happens to food waste? The project was presented in conjunction with a Sustainability Lecture Series and included speakers from Red Roots Community Garden, Slow Food Columbus, and Trish Clark from The Crest Gastropub. The participants ate lunch together during the week of July 8th-11th from 12:30-1:30.